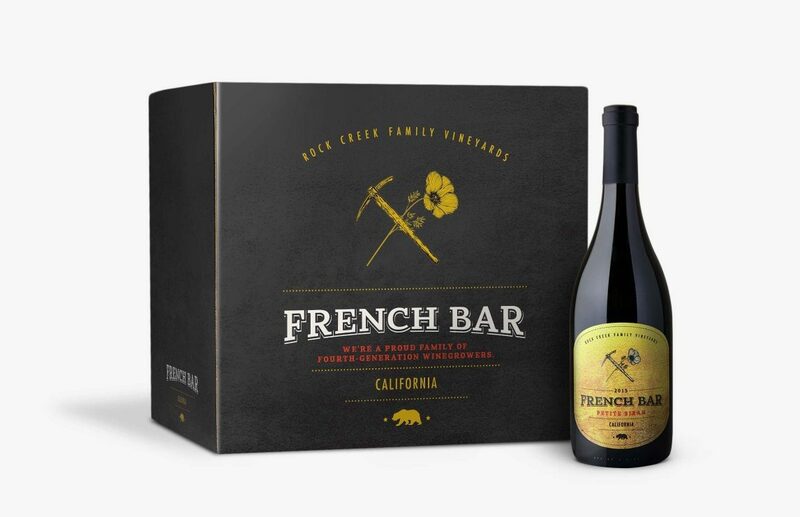 French Bar is the locals’ name for an area along the banks of the Tuolumne River near La Grange, CA. 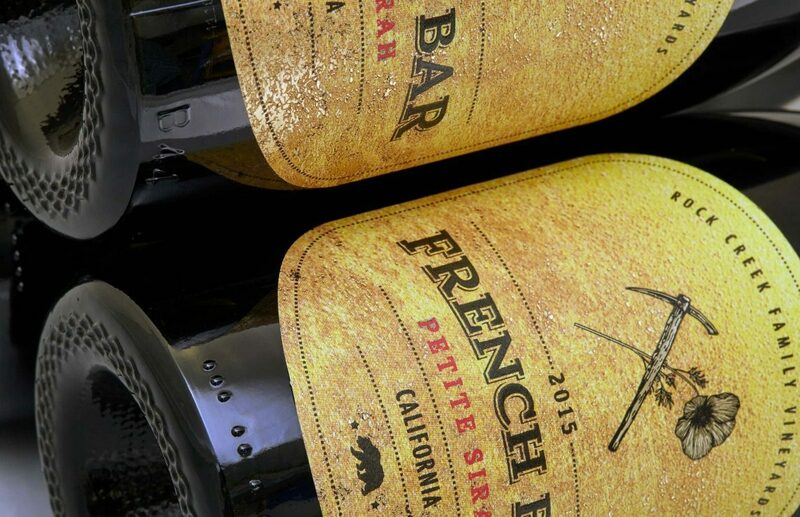 It’s named after two French sailors who literally jumped ship in San Francisco harbor to follow their dreams of gold into the Sierra Foothills. 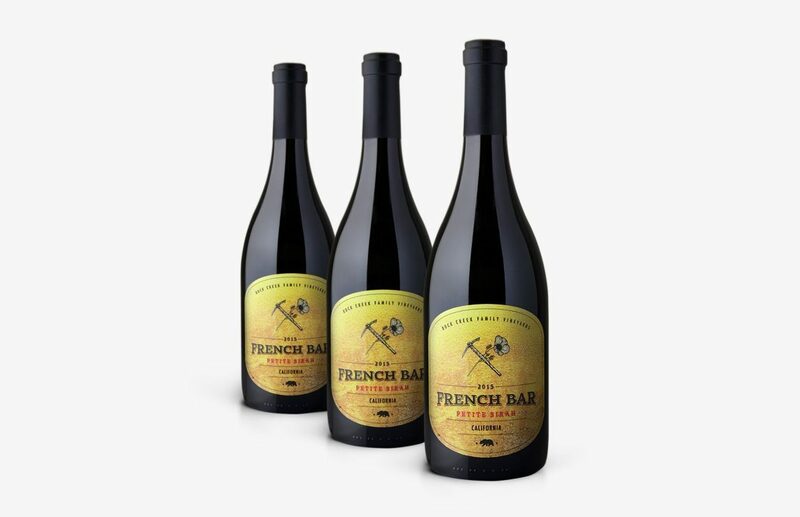 French Bar Winery has an equally cool origin story: four siblings who grew up farming those hills and then went their separate ways have reunited to make some excellent wine from the grapes grown on their family’s land. Growing grapes in the foothills is harder work than down in the valley. Both vines and farmers struggle against the rocky, windblown soil, but the rewards are well worth it. 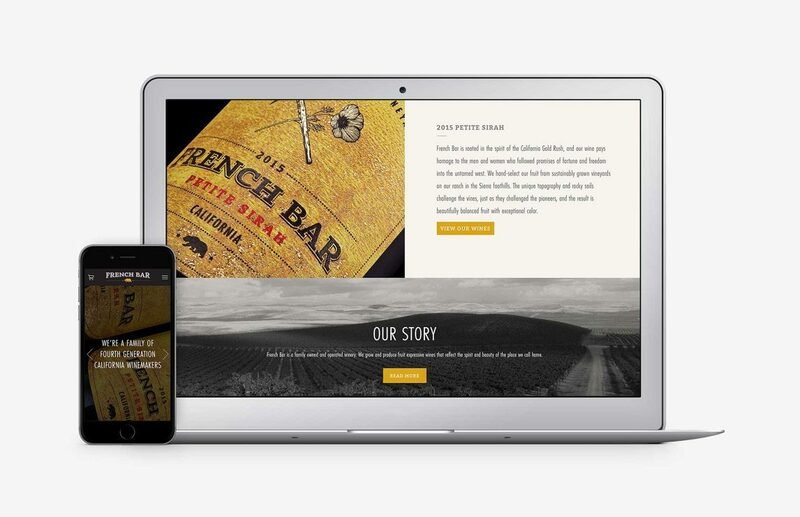 We wanted to create a brand for this wine that paid homage to the legacy of labor and the pioneering spirit of the land and people who make this wine. Flecks of gold foil on the label catch the light, evoking the nuggets once panned and dredged from the nearby riverbanks.